Established in 2002, HostBudget is a leading provider of budget web hosting and domain name services to small and medium sized businesses worldwide. 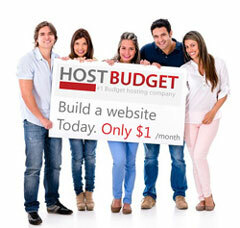 HostBudget also offers the lowest price in the market. Our services are extremely reliable and always backed up by a courteous and competent technical support team available 24 hours a day. We include first class 24/7-customer service with all of our products. In addition, we also back up our products with an unconditional 30 day money back guarantee. Join us today 100% risk free. cPanel is the best & most popular control panel in the world.cPanel allows all our customers to easily and effectively manage nearly every part of their websites. from adding email accounts to configuring MySQL databases. Click Here to launch cpanel Demo. 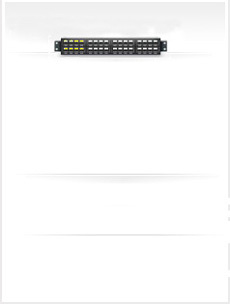 Sold over 50000 $1 budget web hosting plans. We are confident that you'll be satisfied with our product and service, but for your complete peace of mind we do offer a 30-Day money-back guarantee. 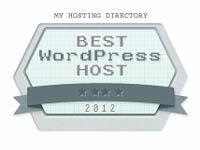 Why Host Budget web hosting ? Instant Setup - Get online sooner. We provide you instant set up of the account . Makes extra profit for you with minimum investment on your part. Do you pay more and more dollars for your web hosting account? Now you can get the same just for $1 per month or lower from HostBudget. HostBudget.com is your choice for hosting. With unmatched 24/7 Support, we believe you can't find a better $1 web hosting provider with unlimited web hosting features. Compare our budget web hosting Plans & Prices.